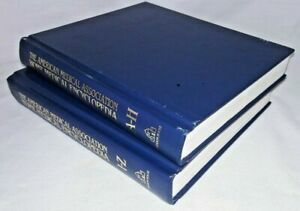 Number of Volumes 2 vols. I ordered this book and it was really cheap because I had only seen it for much more expensive prices. So when I ordered it I was not expecting much as far as quality, but when I received it the quality was outstanding. It looked as if the book had never been used before there were no imperfections really anywhere. The book itself is a great read and is very interesting there are so many things to learn inside of it. It has definitions, symptoms, diagnosing, treatments and conversations that you should say with other people that are having these symptoms, all of this also has pictures included. Just a great book overall with great quality and I would really recommend it to anyone. A WONDERFUL "go to" reference! I am in my "golden years" and have used these books for every health issue for years as we raised our 4 daughters. Now that they have growing families, we decided they should each have a set, so we gave them one for Valentines' day. Now, I am needing to order another set. FOR a layman' it explains a lot on hoe to take charge of your health. I am thrilled with product. Thank you so much. This is easy reading and very informative. I already had a set and wanted a set for my father. He is studying it. Ha! Thank you again. I will keep your link in mind.